New Year’s Eve Fireworks Spectacular – NEW DATE! Mayor Jean Stothert & Downtown Omaha Inc. Foundation would like to thank everyone who makes the Holiday Lights Festival possible, especially our presenting sponsor, Blue Cross and Blue Shield of Nebraska; our media sponsors, KETV Channel 7 and Star 104.5; and our event sponsors, Conagra Brands and Lincoln Financial Group. 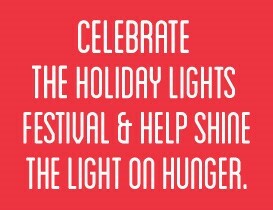 Each year, the Holiday Lights Festival grows and improves, with hundreds of thousands of patrons viewing the spectacular lighting display, as well as increased awareness and donations towards the “Shine the Light on Hunger” campaign. 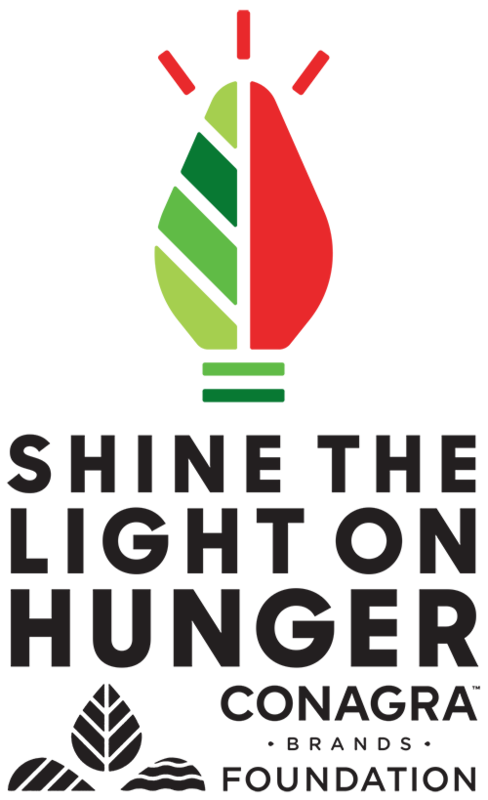 Annually, nearly 100,000 people attend the Holiday Lights Festival activities throughout the weeks between Thanksgiving and New Year’s, and, in 2017, Conagra Brands and the community collected more than 56,000 pounds of food and raised $472,000 during the campaign, the equivalent of 1.4 million meals donated to Food Bank for the Heartland. None of this would be possible without our generous sponsors! We are proud to be a holiday tradition for many and to assist with easing such a critical need at the same time. We appreciate your support and wish you and your family a cheerful holiday season! With your help, we will raise over 1 million meals for Food Bank for the Heartland.